This is a benchmark contemporary architecture proposal for a mixed-use development on a waterfront site on the South Coast of NSW. 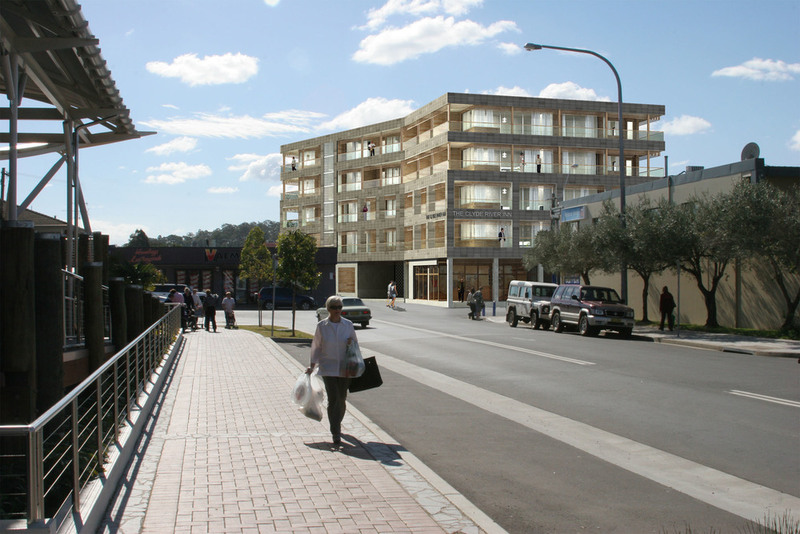 The proposal was approved by the NSW Department of Planning under the Major Projects State Environment Planning Policy. 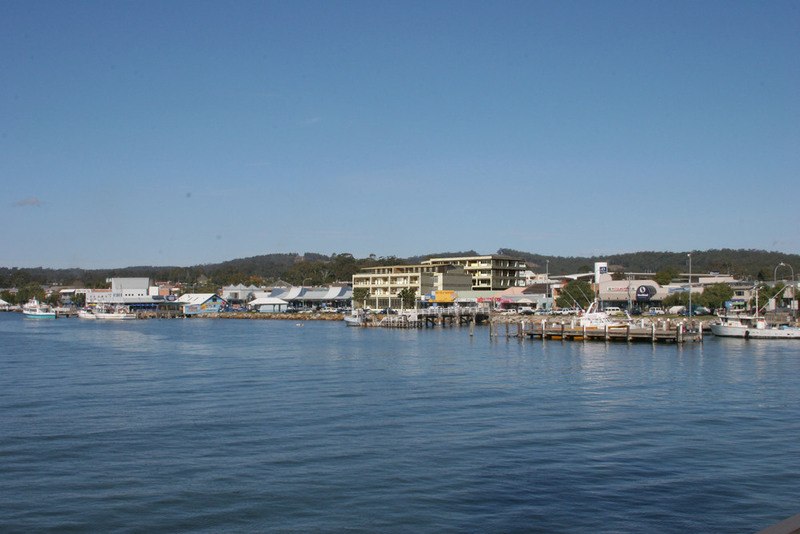 During the design of this building we worked closely with the NSW Department of Planning and the Local Council to update the Planning Controls for the Centre of Batemans Bay to allow this type of Development. 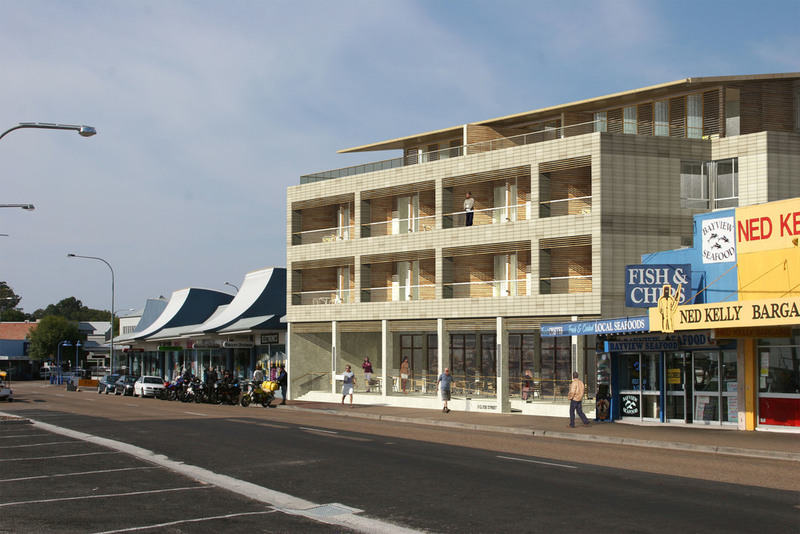 The proposal is seen as a benchmark design for future development in the area. It incorporates an innovative use of timber structure to reduce weight and therefore footings and to minimise the ecological footprint.